Sometimes when no one is looking, the most delightful wildflowers grow out of cracks in the sidewalk. Someone found this sunflower and brought it to our attention. No, we didn’t make this video or solicit it. It grew on its own. 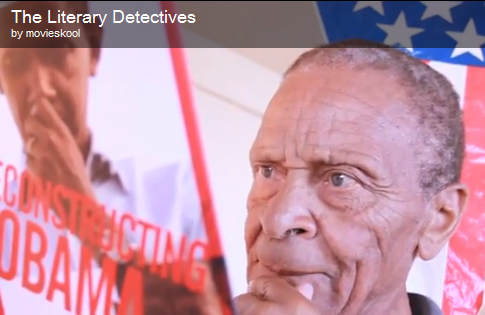 Here’s a spontaneous thank you to movieskool for creating “The Literary Detectives” (4:16 min.). Gulag Notes: Senior beatniks — smooth, urban jazz — and Deconstructing Obama — are these gentlemen reformed Marxists, or have they always been resistors of classification? Its fastidious humorous YouTube video, I constantly go to pay a quick visit YouTube site for comical videos, for the reason that there is much more stuff available.